Deisy Amorin-Woods has appeared on radio stations sharing her insights and strategies as a qualified and experienced relationship therapist and mental health practitioner. She covers a diverse set of relationship topics including parenting, family, siblings, friendships, work, couple-hood, marriage, as well as the relationship we have with ourselves. Deisy provides family therapy, couples counselling and marital therapy as well as other relationship therapy for a diversity of issues. Deisy also runs groups and workshops for families and couples; such as parent groups & parent/child groups; pre-marital & pre-commitment workshops (for heterosexual couples & same gender couples); couple enhancement workshops as well as couple retreats. Since it is a New Year, Deisy was invited to talk about ‘sticking to your New year’s Resolution’ & ‘consolidating your vision for 2018’. Deisy was invited to talk about ‘The relationship with Self’ since this is an area impacting on all relationships. 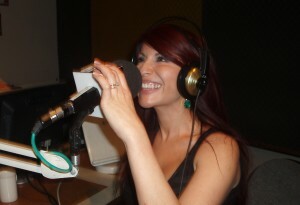 Deisy was invited to talk about ‘Communication’ as it relates to families, couples and all other relationships. Deisy explained that while communication is not the only problem people approach Deisy for, communication is the means within which many areas can be work through. Deisy was invited by Jon Lewis to do a one hour segment called ‘Dear Deisy’ on Saturday 8th March 2014. The topic of the night was on relationships and more specifically on building strong and lasting relationships. Listeners were invited to call back with comments and questions about this area of interest. Deisy has been invited to return for some follow up ‘Dear Deisy’ segments where she will explore and discuss a variety of relevant topics in relation to issues that people present with on a daily basis at the personal and interpersonal level. Some of these topics will focus exclusively on relationships in its various forms. The aim of the segment is to help people consider alternative, but effective ways to deal with presenting challenges and to support them in accessing suitable follow up care and support. All commentary is purely general advice & listeners to segments should always seek further advice from a mental health professional if concerned with their health. Click here for Jon Lewis LIVE! 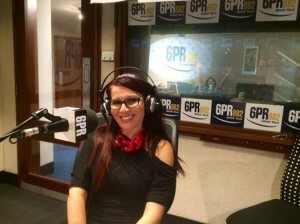 Deisy again presented her ‘Dear Deisy‘ segment on 6PR at the overnight show with Jon Lewis on the very early hours of Friday 2nd October 2015. The focus was on relationships with a specific emphasis on communication, so listeners tuned in late on Thursday 1st Oct (just past midnight) to just listen or to contribute to the discussion.